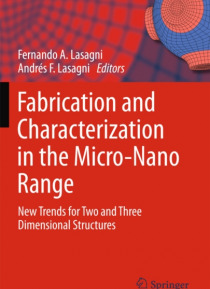 This book shows an update in the field of micro/nano fabrications techniques of two and three dimensional structures as well as ultimate three dimensional characterization methods from the atom range to the micro scale. Several examples are presented showing their direct application in different technological fields such as microfluidics, photonics, biotechnology and aerospace engineering, between… others. The effects of the microstructure and topography on the macroscopic properties of the studied materials are discussed, together with a detailed review of 3D imaging techniques.